What is the Da Vinci Sleep Schedule? 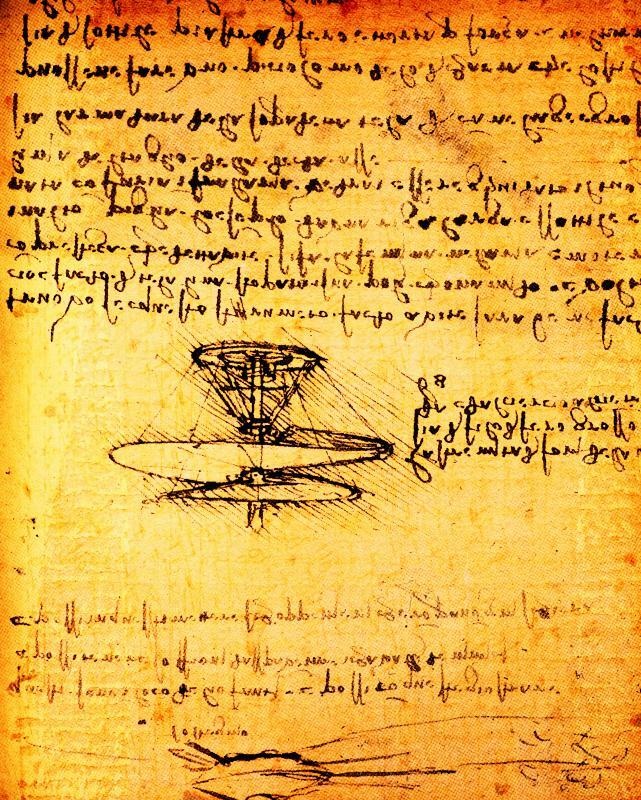 Proponents of the Da Vinci sleep schedule believe it enhanced the Renaissance artist's creativity, enabling him to design helicopter-like devices. Artist and engineer Leonardo Da Vinci supposedly only slept for two hours per day. The Da Vinci sleep schedule allows only a few hours of sleep per night. 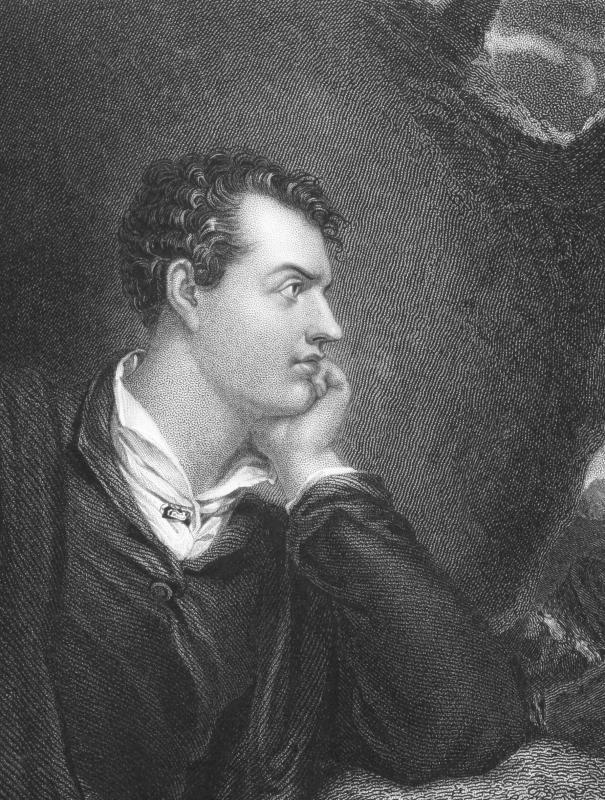 Lord Byron might have been at his most creative when following a Da Vinci sleep schedule. 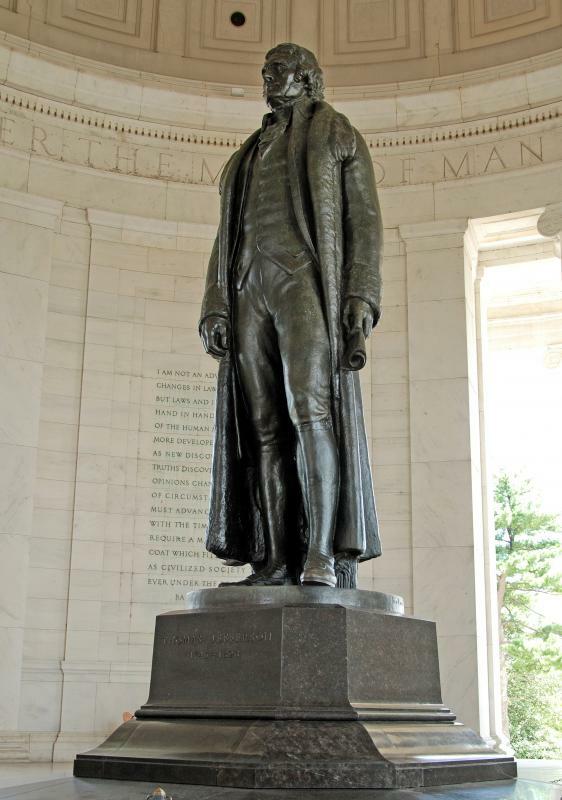 A statue of Thomas Jefferson, who is said to have used the Da Vinci sleep schedule. The Da Vinci sleep schedule, also known as the "sleep of genius" or polyphasic sleep, is a type of sleep pattern which involves sleeping not more than 5 hours a day. 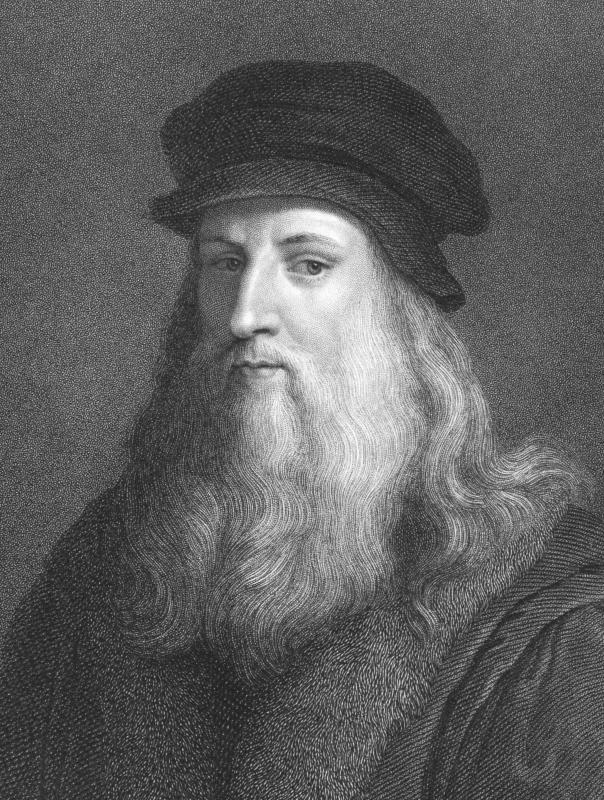 Some experts are more strict, arguing that to follow the Da Vinci sleep schedule, a person must become accustomed to sleeping an average of two hours a day, which is how much Leonardo Da Vinci himself slept; others take the term more loosely, allowing practicants to sleep a few hours a night. The Da Vinci sleep schedule is better suited to people who can control their daily schedules. Basically, the system requires followers to sleep in several 10-minute bursts, for a total of two hours a day. A variation of the Da Vinci sleep schedule requires people to sleep 20 minutes for every four hours that they are awake. This technique, known as "power napping" or the "Uberman's sleep schedule" is actually in use in many corporations as a way to up production of their employees. People who try the Da Vinci sleep schedule often go through a very difficult adjustment period. Experts agree that the first two weeks can be extremely difficult and can lead to lack of coordination, low energy levels, and drop in their alertness level. Others experience nausea, headaches, or lost of appetite. All the symptoms go away on their own after 10-14 days, and the body goes back to reacting normally. The main benefits of the Da Vinci sleep schedule include free time, more vivid dreams, and a strict control over your body. Proponents of the method is so effective that a lot of people throughout history are said to have used during their most intense times, including poet Lord Byron, Thomas Jefferson, and Napoleon. The main drawbacks of the Da Vinci sleep schedule are the difficulty of the system. Because it requires repeated naps throughout the day, it is unlikely that it can be used by people working a regular schedule. It is also not a good option for people with low blood sugar or certain medical conditions, since the additional stress on the body can lead to medical problems. can or should. I wonder if I should be insane now. I'm stuck this way and my body isn't healthy enough that it should be doing this, I KNOW that. I know there must be more people out there like me, who are like this because it just happened, not because they tried to be super cool. This message is for my fellow can't-sleepers. You're not alone. Over the years, I have transitioned from staying awake long periods to the point where I just can't stay up after a certain amount of time, so I'm back down, but still no matter what I can't get more than the one to three hours (and three is actually quite rare). Maybe if I let myself go "down" more often I'll feel a little better. We'll see. It still takes ages to fall asleep too, no matter how much knowledge I amass on that subject. By the way, another rarity: my dreams have always just consisted of several still images, and it's very easy for them to be lucid. I don't appreciate it at all and usually wake myself up rather than having the non-restful, lucid dream sleep! He was probably narcoleptic. We have to listen to our bodies and sometimes they insist we sleep for just a minute. When that happens, it's often accompanied by visions, answers, or even entire ideas. Its almost like thinking, very deeply. I don't think that starving oneself of sleep and forcing a typical brain to act as a narcoleptic one would be beneficial to anyone. I think listening to your body is beneficial. If you're smart, you're smart. Starving your brain will not give you an IQ boost. It's actually quite maddening. I promise. I sleep 11 hours a night and then sometimes I will skip a day and not sleep. People say I look great, and I look much younger than I am especially for being someone who works their body hard, and smokes a pack a day! My resting heart rate is comparable to an athlete's. I believe sleep is key to living a long and healthy life (and staying hydrated). I've done the four hours a night thing and it depletes the body pretty quick. Lions sleep like 14 hours a day. I'm pretty much a lion. The da vinci sleep schedule? It's funny how humans come up with stupid stupid words. Be good, do good and sleep good! REM sleep is not the deepest form of sleep. It's the one with the most brain activity, and the one closest to being "awake." At the moment I'm just wondering how it is exactly that hundreds of years later, humans know exactly what da Vinci's sleep schedule was like. I've heard ancedotally that he had highly erratic sleep patterns but I've never seen any specific accounts of this, and the wikipedia article makes no mention of unusual sleep patterns. It's certainly intriguing. I know that over the course of my life, I have gone through a variety of very unusual sleep patterns, although for me it has vacillated from extremes of very little sleep in odd distributions across the solar day or to the extreme of sleeping for almost the entirety of a solar day. So I'm just curious. There is a dire need for your brain to sleep so many hours to function at its optimum. You cannot assume that you posses the same brain as Da Vinci. Live the life that you have found suitable, not one an article has told you about. I would say the best time to train yourself for this sleep cycle is during a vacation or any other extended periods of free time. I'm a student and this has been helping me a lot because I now have a lot more free time and I feel fine. If you read between the lines, everyone who commented on this thread thinks they are some sort of a genius, or different or special. It is the ultimate need to feel eccentric, I understand. Lets put aside the illusion guys, and wake up. If you sleep four or five hours, yes it's true that your body will adapt to it, like it adapts to most things. But one cannot argue about it being good for you or making you more creative. It gives you that notion because you simply haven't slept, so you almost feel like you're high. And yeah, most of the artists get more creative when they are high! factor. It keeps the body and the mind in tune. And a personal anecdote, I've been having those vivid, flying, in control dreams you guys have been talking about since I was 5 years old. All the way up to age 17, I always had them. I used to get 8-12 hours of sleep at home then go to school and sleep in class just so I could go back to dreaming where I could literally control my dream - go or do whatever I want. Since I started using alcohol and occasional drugs, I rarely have them. I think if you re going the da vinci way, you should not smoke, drink or do drugs at all. It is the only way for your body and mind to be in tune with that pattern of sleep. And inception will act as an anomaly and may disrupt the process. Do not do that. I was doing it for seven years. I felt energetic, I was looking really great( very important thing for women), I was working out, I was working three jobs, and on and on and on. But one day your body will tell you that it is very wrong and you wish you would not do that. During continuous rent hikes in dubai, i was forced to look for ways to not pay anything. so i slept in the chair, office, cafe, etc., two or three hours a day for the next three years and it became a permanent habit. Each case is strongly individual and there will not be a single formula to all. so in my case it was not to pay for rent and i love those vivid dreams where i fly above the earth and feel it's real. I tell people that I should live on Jupiter because I am awake 22-28 hours a day and sleep 9-11 hours. (not totally sure how many hours are in a day on jupiter) The last two hours of sleep usually provide great vivid dreams. I write, play piano, play guitar, sculpt, invent, enjoy painting and am a entrepreneur. I have a small business and am an I.T. person by profession. Does anyone have anything to add about drug usage? Because I occasionally use drugs recreationally and drink heavily about once a month. I do not promote drugs or alcohol but I enjoy both occasionally and find that it randomly helps me express my creativity - Not always! But sometimes does. I am a 24 year old financial analyst and often have to travel between clients in different countries extensively. The constant changes of timings and travel time have, over the course of years, made me get used to having a maximum of 3 to 3.5 hours of total sleep per day. Still, I am in good health and great shape. I spend two hours doing workouts daily and all the extra time in the day means that I can have more than enough time for work, relationships and myself (Something I used to find extremely difficult to manage with eight hours of sleep). Don't understand how this works out, but I can feel that my physical, psychological and emotional health have improved greatly since I adapted to less sleep! Leonardo da vinci probably had narcolepsy. There are many among us and there were many at that time as well. So why not? His sleeping pattern is just like a narcoleptic. I sometimes sleep very little (four hours), or over seven hours, depending. I have great dreams that are exhilarating. Sometimes I sleep in intervals, one hour at a time, every few hours, or so. My brain feels replenished, usually if I can get some good rem. I sometimes really like it when I just slip into dream/sleep, when I am exhausted! i don't know whether you have to be exceptional or not. I usually sleep only about four hours in 24 (not always all at once, either), though in my case it is not a matter of choice - i am simply an insomniac. that said, i run a house, care for three children, cook, paint, draw, write and carve (all in several different styles), design jewelry, clothes and furniture and sometimes build the latter, and study psychology and history. i do have quite vivid dreams, and i also have several chronic illnesses. seems kind of a mixed bag to me. Perhaps whether or not one can employ such a schedule and be productive is more a function of impetus than exception; i.e., if one either has no choice in the matter or is sufficiently motivated, it seems that one can make it work. @spasiba: They left out an important detail in the Da Vinci sleep. When you make the switch, your body rejects it at first, as stated above. Eventually (after a couple of weeks) you body trains itself to enter REM sleep every time you nap, to compensate for the lack of sleep. REM sleep is the deepest form of sleep, and only a couple hours per day are needed for your body. I'm considering whether to transition from monophasic sleep to polyphasic sleep or not. It would be great to have so much extra time, but the transition itself is the thing I'm not so sure about - how long it would take me to cross over and whether or not it would be worth it. I am a 42 year. old male and have been fascinated by the powers of the Genius. I have entered a *chaotic* sleep schedule induced willfully & supplemented by the esoteric practices of Taoist Yoga, particularly the system of Mantak Chia. I sleep 4-6 hours daily sometimes skipping a day. I believe the need for sleep is directly related to an individual's internal psychic make up including: speed and complexity of mental & emotional processing ability, amount of unordered chaos in one's life, nature and quality of the ideas that one is inspired with at any given time. Hypothesis- Need for sleep is proportional to one's personal level of emotional and mental intelligence. My name is Bogdan and I sleep just 3 hours in 24 since I had 16 years old! Now I have 34 Years old! I am an inventor! Obviously,regarding the names it mentions, it is possible but the value of such a sleep schedule with your time must be regarded. If you are to actually follow this and choose this in accord with your life, hopefully you will be attempting to do powerful things. Maybe it was fine for Da Vinci, and maybe there are some exceptional people who can sleep for a short time and be productive and alert. I do not think though, that a prolonged schedule of only a few hours of daily sleep is feasible for most people.